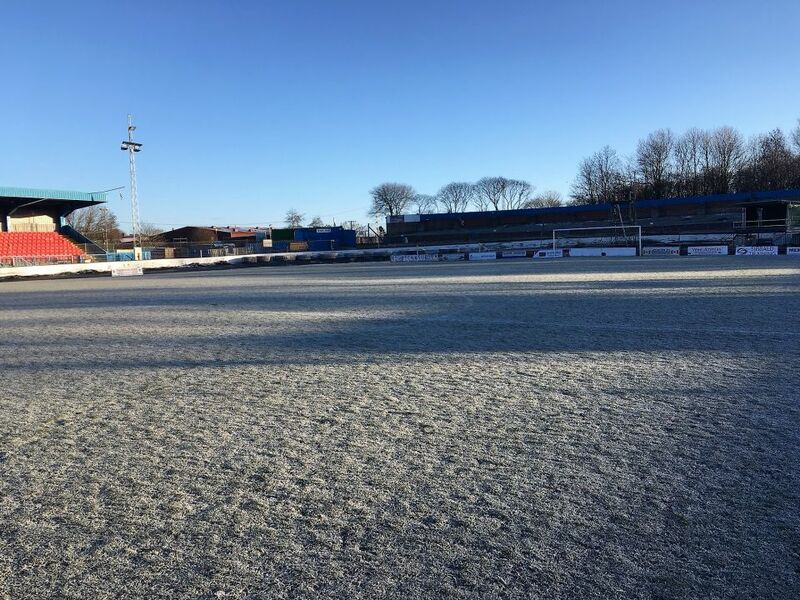 It has been decidedly frosty at Central Park with the pitch already starting to freeze over on Wednesday as the Rangers match drew to a close. On the last two mornings when we arrived at the ground the temperature was minus 6 so no surprise that Saturday’s game will not now go ahead. Pitch is pictured at 9am this morning. It seems Robbie has got his own fan club – here is the banner that was prominent at Wednesday’s match!